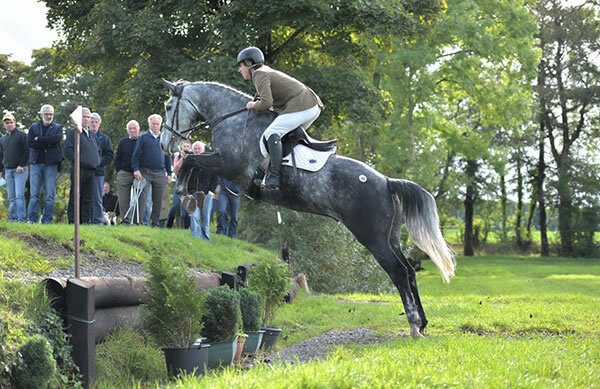 The 5th TIHA Hunter Show and Go sale which took place at Mullingar Equestrian Centre showcased a fine selection of well-produced Traditional bred Irish Hunters. Commenting on the day, Olive Broderick said "Following on the Traditional Irish Horse debate I was at the TIHA select hunter sale yesterday in Mullingar Equestrian. I have to say I was really impressed with the sale, beautiful facilities to show and try the horses, the professional turn out and production by all the vendors. The horses for sale were a mix of Irish Draught, TB and Connemara. Interestingly almost all vet certs were 100% clean. There was great demand for a good stamp of an Irish hunter, with prices very strong for almost all. If the horse went well, was honest and straightforward (trademark Irish horse!) and forgiving of rider error there was any amount of buyers at good money. My point is that most of these horses were a long way from a GP jumper, yet the owners who produced them well for a specific job (and mostly by rider owners) kept costs low, enjoyed the production and have a great market through this sale. I think we all know this fact, and it’s very positive for the traditional Breeders. Well done to the traditional association."